In 1716, Taxco De Alarcón was a mining town . 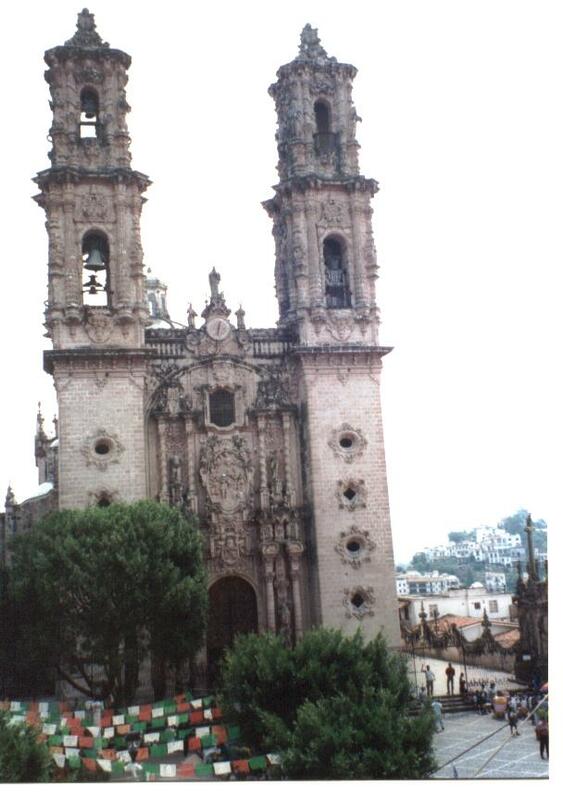 A French prospector Joseph De La Borda ran a prosperous mining venture in Taxco and in return for his fortune he commissioned the baroque style Santa Prisca Church . Construction began on February 23, 1751 and was completed by December 3, 1758. The architect in charge was Don Diego Duran and the master mason was Juan Caballero. The church is indicative of the size and splendor obtained by Mexican churches by the 18th century. The highly inventive ornament of the church is characteristic of contemporary Spanish architecture in both Europe and the new world.